Jose Luis Feliciano Vega, better known as Cheo Feliciano (born July 3, 1935 in Ponce, Puerto Rico), is a composer and singer of salsa and bolero music. Feliciano was raised and educated in the city of Ponce, which is located in the southern part of Puerto Rico. As a child, he was nicknamed "Cheo" by his family - a name which means Jose and is a term normally only used by close friends and family. Feliciano was raised and educated in the city of Ponce, which is located in the southern part of Puerto Rico. As a child, he was nicknamed "Cheo" by his family - a name which means Jose and is a term normally only used by close friends and family. However, the name stuck and became part of his everyday name (using the nickname avoids confusion with Jose Feliciano, another major Puerto Rican singer to whom he is not related). At a young age he was influenced by the bolero music of the "Trio Los Panchos". When he was only eight years old he formed his first group with his friends and named it "El Combo Las Latas". They were so poor that their musical instruments were made out of cans. Cheo attended the Free School of Music in Ponce after finishing his primary education where he studied and became a percussionist. In 1952, Feliciano moved with his family to New York City and settled down in Spanish Harlem. Here he auditioned as a percussionist in the "Ciro Rimac's Review" band - giving him his first professional musical job. Bandleader Tito Rodriguez, heard Feliciano play and offered him a job in his orchestra; this he accepted but after playing for some time with Tito, he left the band to play the conga for Luis Cruz. Despite leaving he always remained on friendly terms with Tito. Feliciano also played perussionist for "Kako y su Trabuco" orchestra. He was also a roadie for Mon Rivera. In 1955, Tito Rodriguez found out that Joe Cuba was in need of a singer for his sextet. Aware that Feliciano was also a talented singer, Tito recommended that he try out for the position. Feliciano auditioned and became a vocalist for the Joe Cuba Sextet. He was the rare baritone among salsa singers, and his deep voice and quick wit as an improviser made him a favorite among the Latino public. * "El Rat?n" (The Rat), which he composed. In 1967, Cheo joined the Eddie Palmieri Orchestra and sang for them for 2 years. However, an increasing addiction to heroin threatened his life and career. He decided to cure himself "cold turkey" and eventually join Puerto Rico's rehabilitation center, Hogares CREA. He credits Tite Curet Alonso, the author of most of his hits and his best friend, with pushing him through his rehabilitation. As a result, Feliciano is a candid (and vehement) anti-drug spokesperson, who has volunteered to assist in the rehabilitation of fellow salsa artists who fall prey to drug addiction. * "Mi Triste Problema" (My Sad Problem). During the 1970s, Feliciano recorded for the "Fania Record Co." and had "Hits" with "Amada Mia" (My Love) and "Juan Alba?il". He also participated in the first salsa opera "Hommy". In 1982, Feliciano formed his own recording company called "Coche Records" and in 1985 he became the first singer of tropical themes to perform at the Amira de la Rosa Theater in Barranquilla, Colombia. In 1987, Feliciano landed the role of Roberto Clementes father in the musical "Clemente". In 1990, he recorded his first album of boleros title "Los "Feelings" de Cheo". Feliciano traveled and performed in many Latin American countries including Cuba and Venezuela. In Venezuela, he had a reencounter and performed with Eddie Palmieri. In 1995, Feliciano won a Platinum Record Award for "La Combinaci?n Perfecta" (The Perfect Combination). In 2000, Feliciano recorded "Mil Voces, Mil Recuerdos" (A Thousand Voices, A Thousand Memories) as a tribute to various Puerto Rican singers. The album was named among the 20 outstanding recordings of the year by the National Fundation of the Popular Culture of Puerto Rico. In 2002, Feliciano recorded "Cheo en la Intimidad". * 1999-A Tribute in his honor from the Puerto Rican Senate. 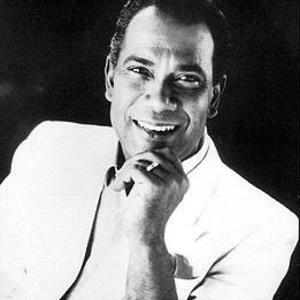 Cheo Feliciano currently resides in Puerto Rico and continues to record boleros. He is also the anti-drugs spokesperson for the Government of Puerto Rico.